The battery pack can overheat and burst while on a charger, posing fire and burn hazards to consumers. One World Technologies, at (800) 597-9624 from 8 a.m. to 5 p.m. ET Monday through Friday, ET or online at www.ryobitools.com and click on Important Safety Information at the bottom of the page for more information. 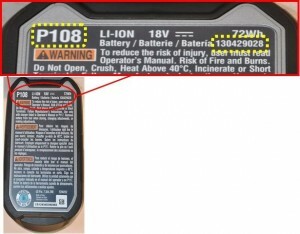 This recall involves Ryobi brand, Lithium 18 V 4Ah battery packs, with model P108 and part number 130429028. The battery pack is green, silver and black. 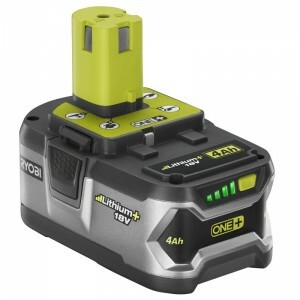 “Ryobi” and “Lithium+18V” are printed in white lettering on both sides of the battery pack. The model and part number can be found on the data plate located on the bottom of the battery pack. One World Technologies has received four reports of battery packs overheating, resulting in minor property damage. No injuries have been reported. Consumers should immediately remove the battery from the charger, stop using the recalled battery pack and contact One World Technologies for instructions on the free shipping and repair of the recalled product. The Home Depot stores nationwide and in Canada, online at Homedepot.com, and at other retailers from September 2012 to December 2012 for about $99. One World Technologies, Inc., of Anderson, S.C.